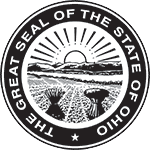 – Under Ohio law, a Buyer and Seller cannot enter into a Land Contract for vacant land. The Land Contract must be for a home and the real property on which the home sits. – A Land Contract can be made for a mobile home ONLY if the mobile home is physically affixed to the land and is designated as part of the real property by the County auditor. – A Seller cannot sell property by Land Contract if the Seller owes more on a mortgage on that property than the balance due under the Land Contract. (Exception: a mortgage that covers more property than just the real property being sold on Land Contract to the Buyer is acceptable, provided the Seller has made prior written disclosure to the Buyer of the amount of the total mortgage). – A Seller cannot put a mortgage on a property being sold by Land Contract during the Land Contract in an amount GREATER than the balance due on the contract without the consent of the Buyer. – Every Seller must give the Buyer a statement showing the amount paid in principal, amount paid in interest, and the remaining balance owed at least once year or upon the Buyer’s demand (but no more than twice a year). – The Seller must record the Land Contract in the County Recorder’s Office where the property is located within 20 days of signing, and it shall contain the legal description of the property. If the Seller does not record it, the Buyer should record it to protect the Buyer’s interest. For complete legal details on the State of Ohio’s Land Contract requirements, see the Ohio Revised Code post here.